Postman is an application designed to make developing against APIs simpler. To be honest, our API is very straight-forward, with only a single entry point and authentication via the key parameter you supply as a variable in your request. Many APIs are more complex, and Postman can be a great tool for interacting with them. 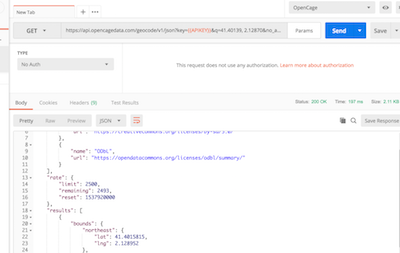 Still, we thought it might be useful to publish a Postman "collection" to help anyone who wants to access our API via this tool. Download and install the Postman application from the Postman website. 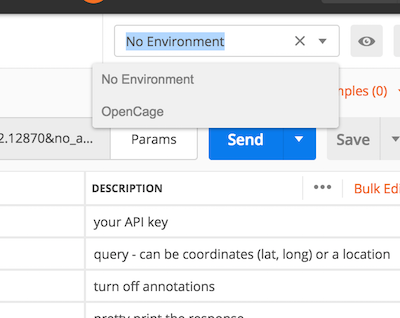 The "OpenCage Geocoder" collection should now appear in your app. 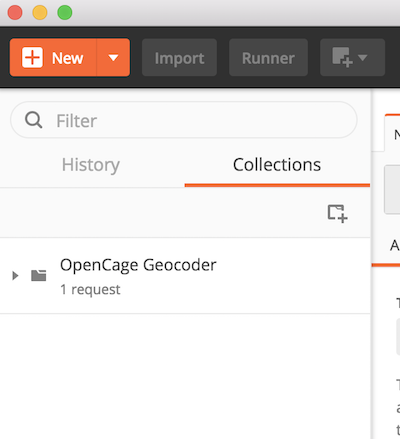 When you click on the collection name, you will see the collection has one request called "json geocoding request". Click on it. 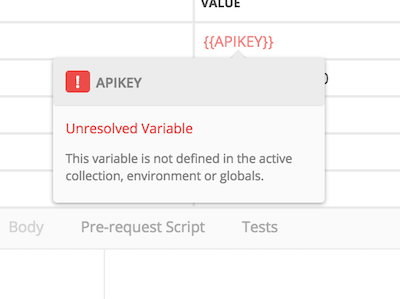 Add an environment (in this example it is named "OpenCage") and define a variable named "APIKEY", set the value to your OpenCage API key.